When it comes to getting enough vegetables into your diet, kids aren’t the only ones struggling to load up on their peas and carrots. Only a quarter of people in the United States eats three or more vegetables per day, and that’s not saying much — we are all supposed to be eating 10 portions of fruits and veggies a day! Even if you are getting in all your produce, it’s not fun to force feed yourself the remainder of your soggy, measly broccoli. Turns out, eating vegetables can actually be fun — that is, if you turn them into pasta. Spiralizing vegetables has become all the rage lately, and for good reason. It’s easy, inexpensive and allows you to get in your daily dose of vegetables without feeling like your dinner is a drag. 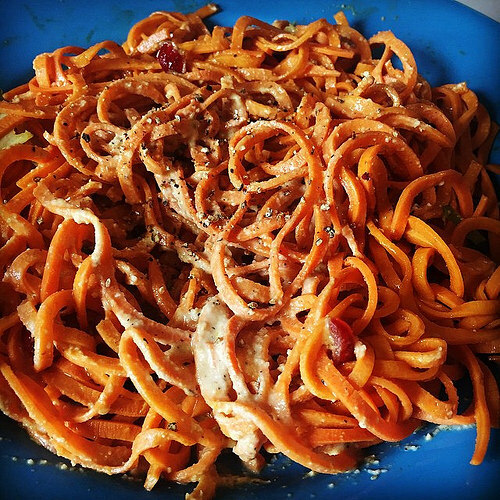 On the plus side, using vegetables instead of carbohydrate-heavy and often processed noodles allows you to make your favorite pasta dishes without all that guilt. Next time you’re looking to spice up your zucchini or ditch your refined spaghetti, try making one of these six vegetables into noodles using a simple handheld spiralizer or a more robust tabletop spiralizer. 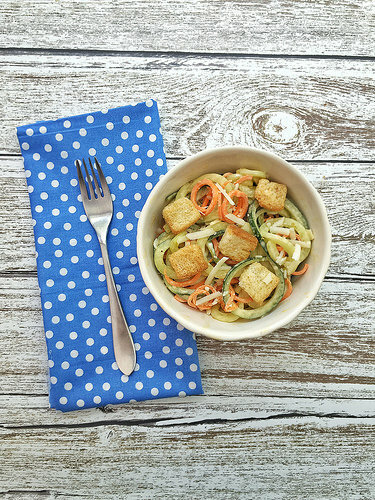 If you haven’t tried “zoodles” yet, you’re in for a treat. 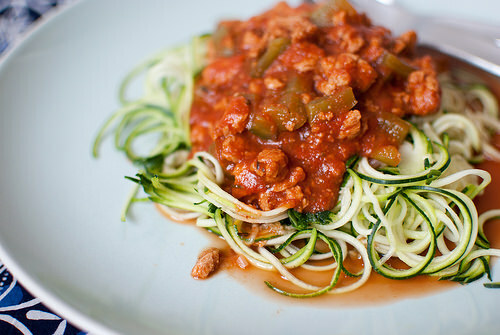 One of the easiest things to spiralize, zucchini noodles come out soft and tender, and their texture is quite close to traditional spaghetti. Instead of being filled with refined carbohydrates and sugar, zucchini is loaded with Vitamin C, Magnesium and fiber. 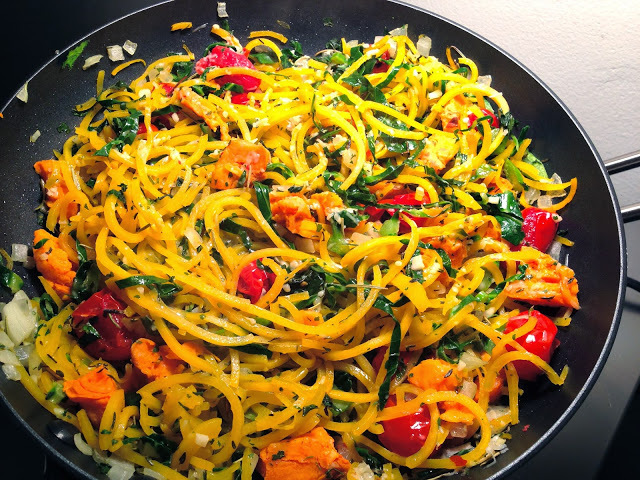 If you’re looking for immune-boosting nutrients mixed with a slightly sweet flavor, try spiralizing a butternut squash. This fall vegetable is not only filled with fiber, Vitamin A, and potassium, amongst other nutrients, but it tastes great with a traditional marinara, cheese sauce, or even a pesto. Over your typical baked potato? Stick one of these carotene-rich spuds into the spiralizer and you’ll have a fiber-filled pasta dish that works well with herbs, cheeses, and even curries. Sweet potatoes are high in the B Vitamins as well as Vitamin A, both which help fight disease and aging. Loaded with not just flavor but also antioxidants, beet noodles are best prepared roasted, and they can be used in salads, pestos, cream sauces, and even just sprinkled with salt and pepper. 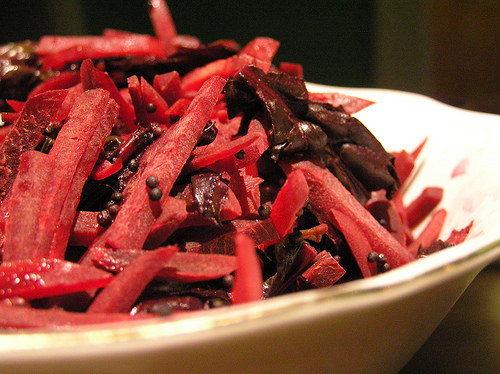 Beets are a healthy natural cleanser and can help boost your energy. Like zucchini, spiralized cucumber resembles spaghetti, but these noodles can be used raw and taste great in summery salads or Asian dishes. Cucumbers are low in calories, and since they are made mostly of water, they keep you feeling hydrated and full throughout the day. 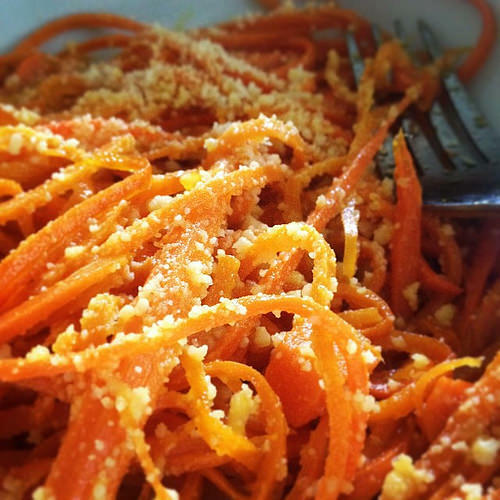 Carrot noodles can be made raw or boiled, and since their flavor is mild, they can be prepared like traditional pasta dishes. Or you can get a little experimental and add a little Asian flare. This orange vegetable may help lower cholesterol, reduce your risk of cancer and even prevent memory loss.